We are very excited about 5G, we have already reported on how the UK emergency services are moving over to a LTE network, and inevitably 5G is the next step for better, faster and more capable communications. Not planned to be deployed until the next decade, we believe that 5G will allow us to communicate better with our Walkie talkies. The original article can be found here. One development that many industry observers believe could be revolutionary is 5G. Following on from 4G, the fifth-generation mobile network is in its early stages of development and is expected to be rolled out between 2020–25. 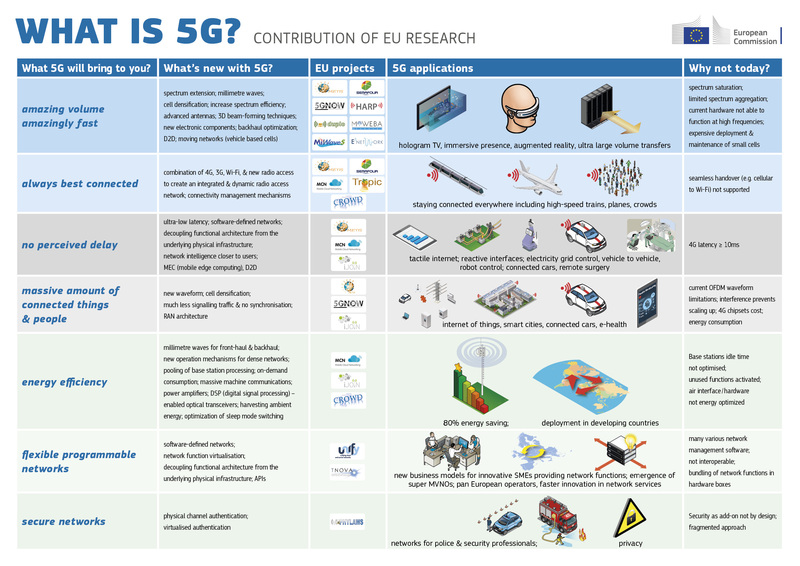 Any tech that contributes towards the next phase of mobile connectivity is covered by the term 5G. And although there are still no set standards or specifications, the GSMA – a trade body that represents global mobile operators – has outlined eight key criteria, stipulating minimum requirements for speed, capacity and energy in order for something to be considered 5G. According to Ofcom, once operational 5G could provide between 10–50 Gbps (gigabit per seconds) in download speeds (as compared to the 5–12 Gbps of 4G), and although most experts expect it to be at the lower end of the range, that would still mean you could download an HD movie in seconds. But rather than simply being faster than the current 4G, it will also allow more devices to access the web – an essential requirement if the IoT is to take off – meaning it could be transformative for business. Raj Sivalingam, executive director of telecoms for techUK, the trade association for the tech sector, says: “The potential of the IoT, particularly in the enterprise environment, has been hugely debated but its impact is almost certainly still undervalued. One potential bottleneck for 5G is spectrum availability – or lack of it. Radio frequencies for both 3G and 4G are already overcrowded. The provision of a new bandwidth will require widespread cooperation between operators, manufacturers and governments. Infrastructure is also an issue, says Sivalingam. “Making the leap to 5G mobile services and getting more fibre into the fixed telecommunications networks will require substantial amounts of investment. It’s not just data transmission, speeds and connectivity that pose challenges in the future, but the safety of that data too. Cybercrime is ranked alongside terrorism as among the most serious threats to the UK [pdf], and with data now the lifeblood of modern business, securing that data is of paramount concern. One technology that could provide the answer is quantum communications. China recently launched a quantum satellite to further research into this technology, with the hope of developing an uncrackable communications network. With two thirds of British business falling victim to cybercrime in the past year the need for better encryption is clear. Paul Lee, head of technology, media, and telecommunications research at Deloitte, highlighted a number of improvements which he expected to see coming down the line, including improved mobile antennae and base stations, as well as improvements to fixed networks such as G.fast that would enable copper cable to operate at much higher speeds. The most important reason as to why you have a radio is for clear communication and this is what your radio earpiece should enhance. Although there are several radio earpieces out there, many of them use bone conduction when transmitting the user’s speech meaning that they heavily rely on vibrations of one’s skull as they talk. This does not help much in ensuring that the communications are clear especially when one is on the move. 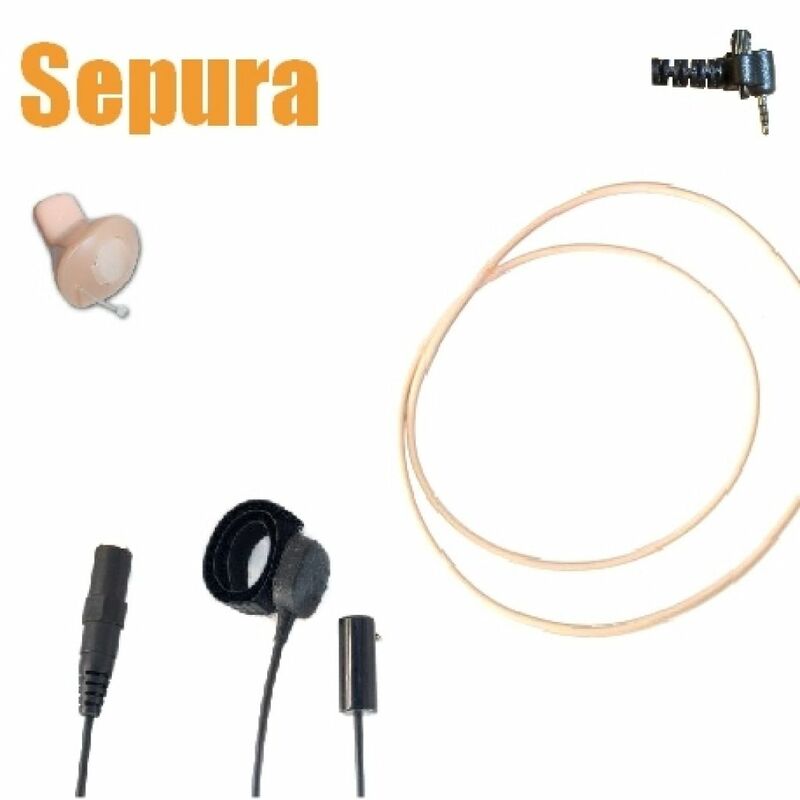 Durability is a very important factor that should be considered when choosing a radio earpiece. You obviously don’t want to be wasting your time and money going back to look for another earpiece just because the one you chose did not last. This is why it is very important to select a system that is durable and has been tested for rugged use of a soldier or a SWAT officer. Go for one whose manufacturer is experienced in manufacturing earpieces that can withstand water, dirt, shock and even extreme temperatures. Your radio earpiece should be easy to use because you can’t afford to mess up with the push-to-talk or the on & off buttons especially when on the move. Your gear should immediately fit into your actions with minimum effort. Look at the operational and the ergonomic features of the various radio earpieces and make sure that all its features are both of the right sizes and in the right places. There are several systems that are available out there and you should look for one that fits your requirements. As mentioned above, some of them can be customized to fit an individual user’s specific needs so you can never run out of options. Many years ago radio earpieces cost £100 and upwards, these days you can get a D-ring earpiece for less than £15 and an acoustic tube for about £25. Bone conductor earpieces that were previously and expensive piece of technology, can be yours for about £40.